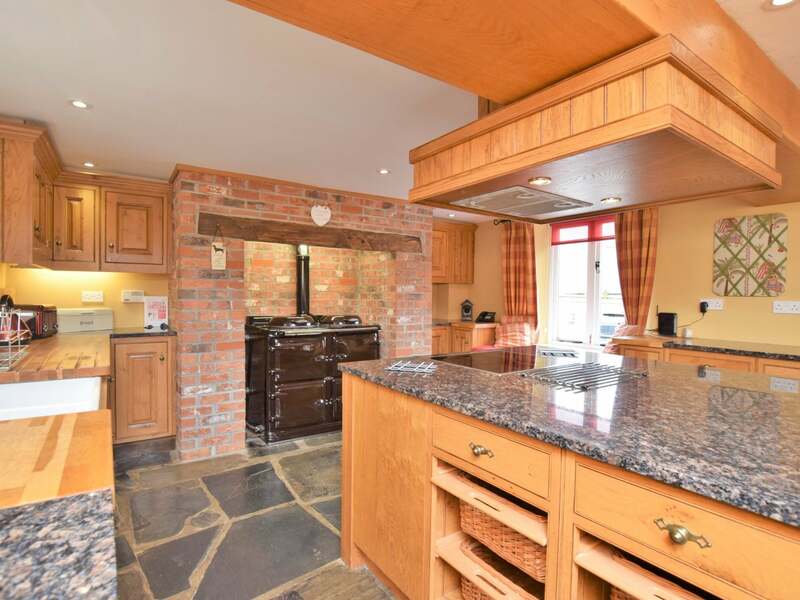 This superb property has been lovingly fitted and includes impressive features such as vaulted ceiling and a handmade oak kitchen. 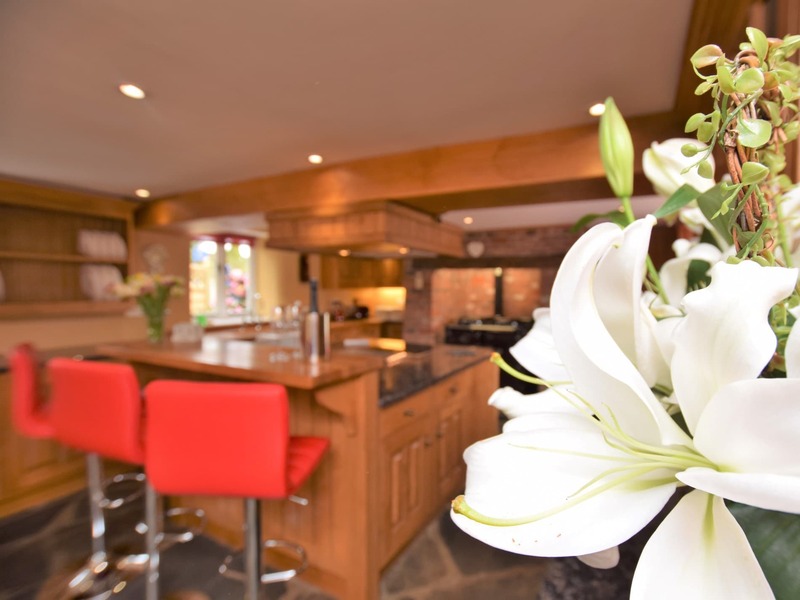 In the ground of the owners manor house yet with a private enclosed garden your privacy and seclusion is very much assured. 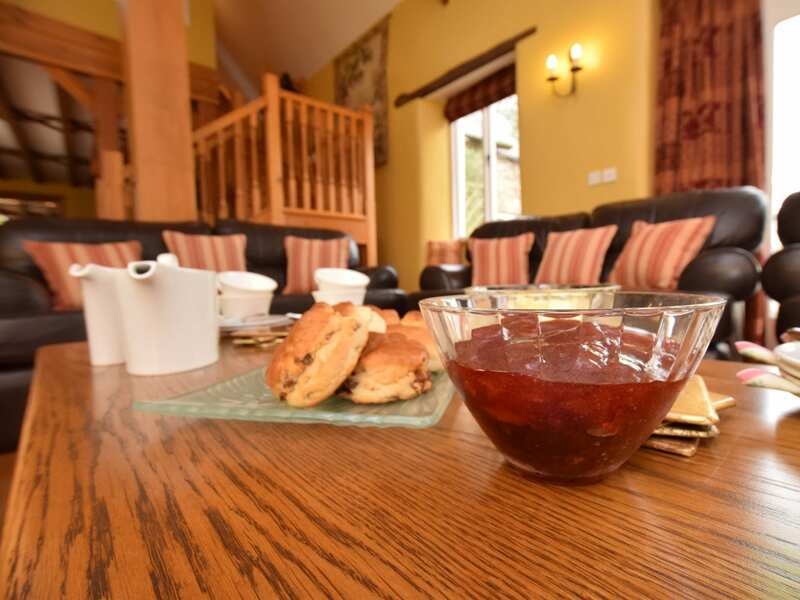 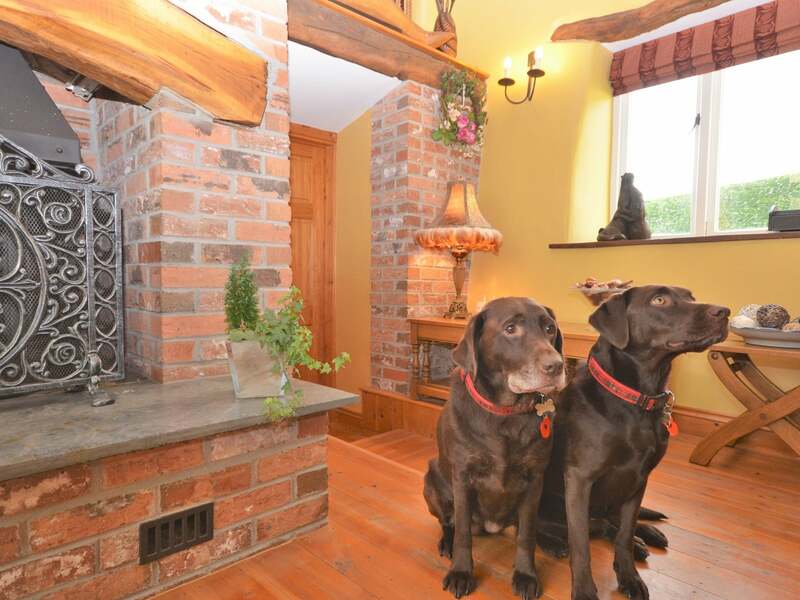 Situated on the Devon/Cornwall border you will be perfectly placed to explore both counties. 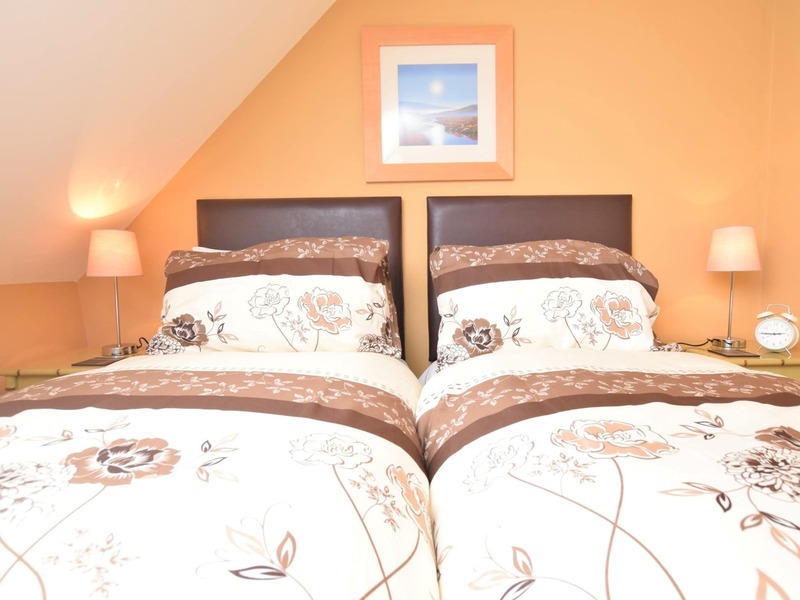 Head towards the coast and visit the superb sandy beaches at Bude ever popular with families and surfers or explore the wild beauty of Dartmoor with its wonderful scenery offering fabulous walking and wonderful views. 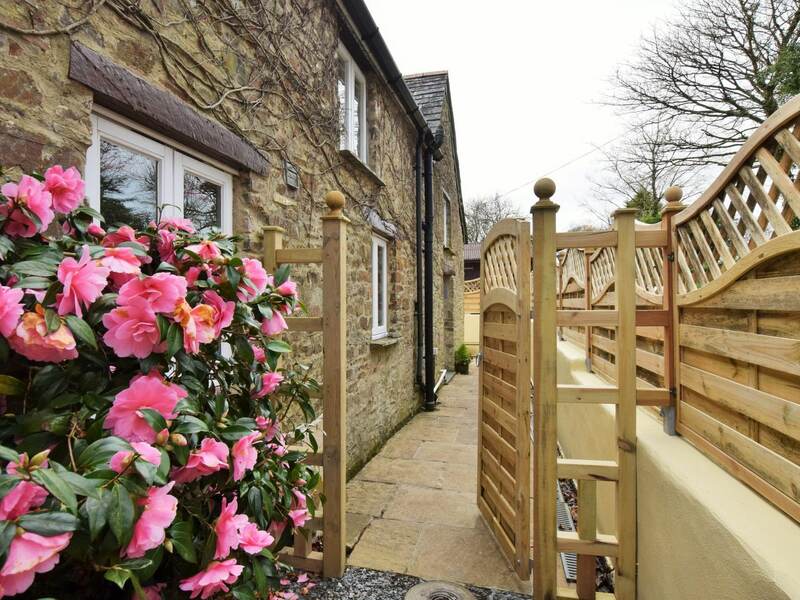 Roadford Lake is 5 miles away and offers fishing walking and sailing activities and the market towns of Holsworthy Launceston and Okehampton are all within an easy driving distance. 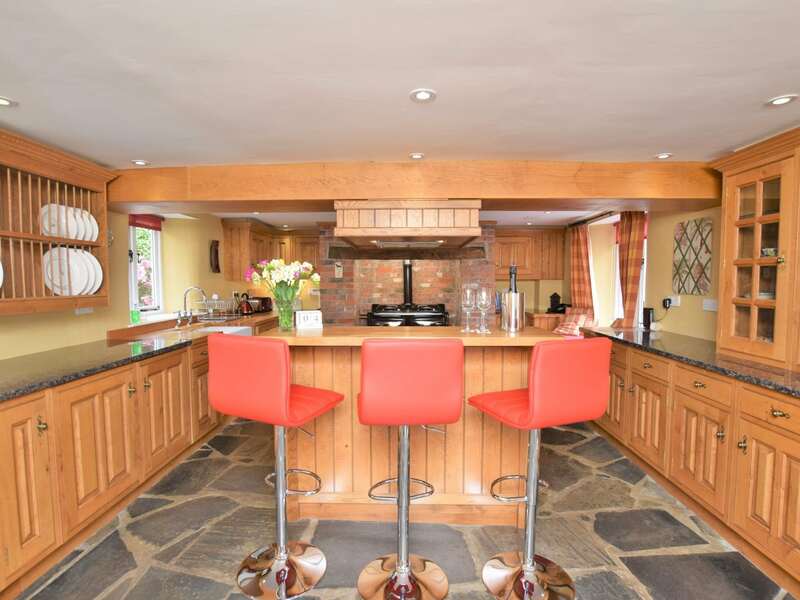 Other places of interest accessible from here include the historic maritime city of Plymouth the Eden Project and numerous National Trust properties and gardens. 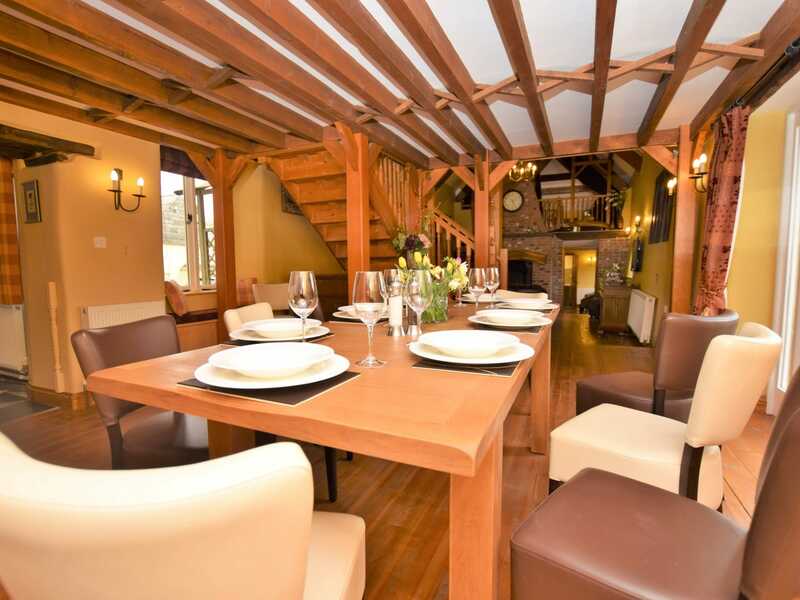 Stepping into this stunning barn it has beautiful handmade oak features throughout from the beautiful beamed ceiling to special touches here and there. 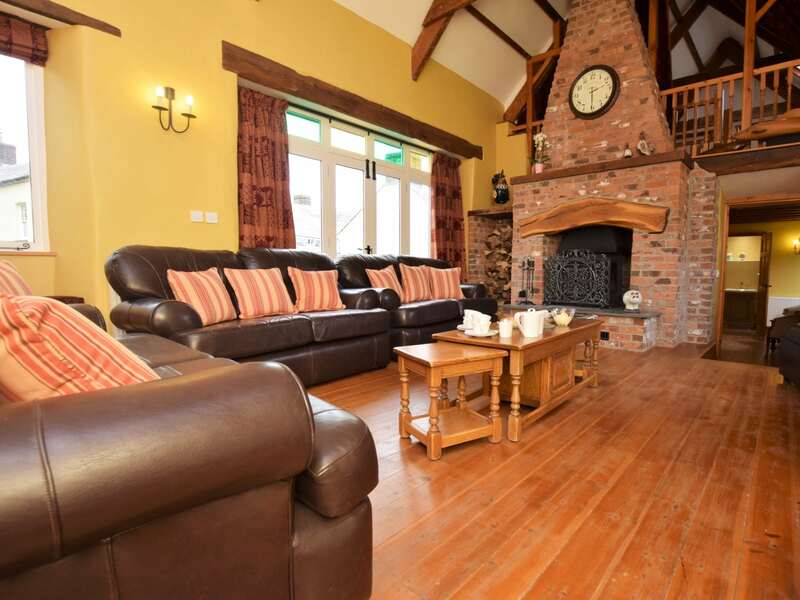 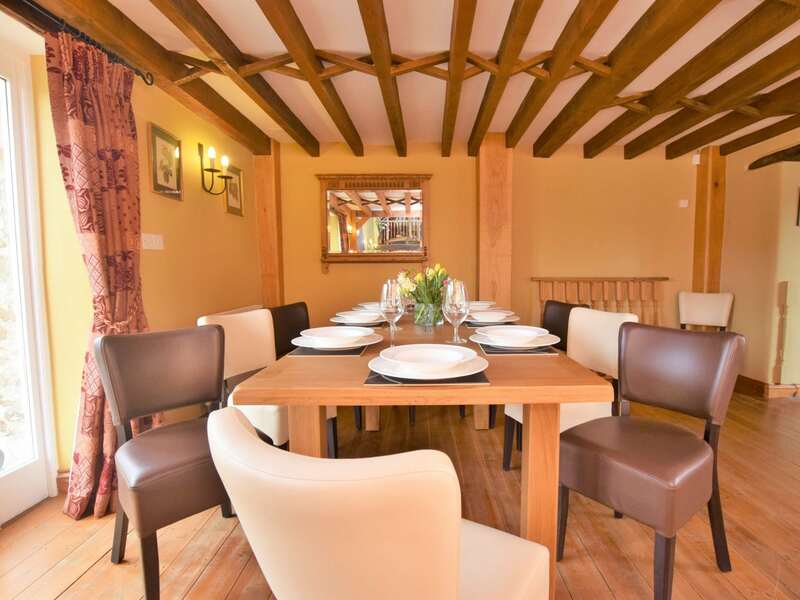 The open plan lounge/dining room has a large wood burning fire perfect to sit around and enjoy stories from your day and French doors to outside. 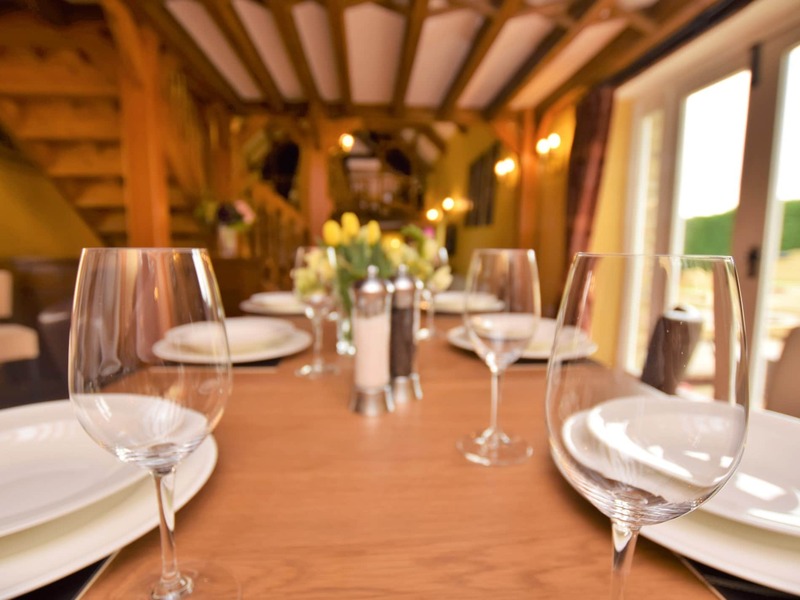 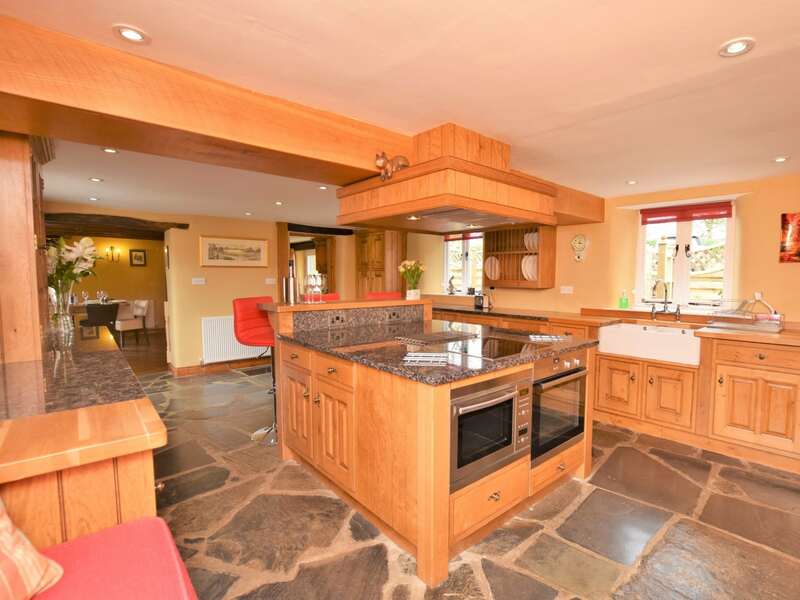 The handmade oak kitchen is spacious and fully equipped it has granite worktops and a handy breakfast bar. 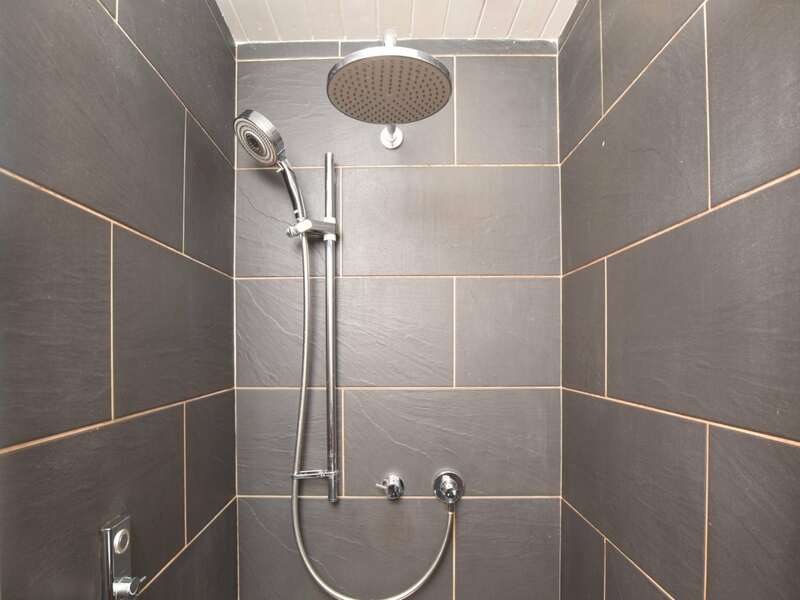 There is a snug utility room and downstairs toilet and a shower room with toilet also on this floor. 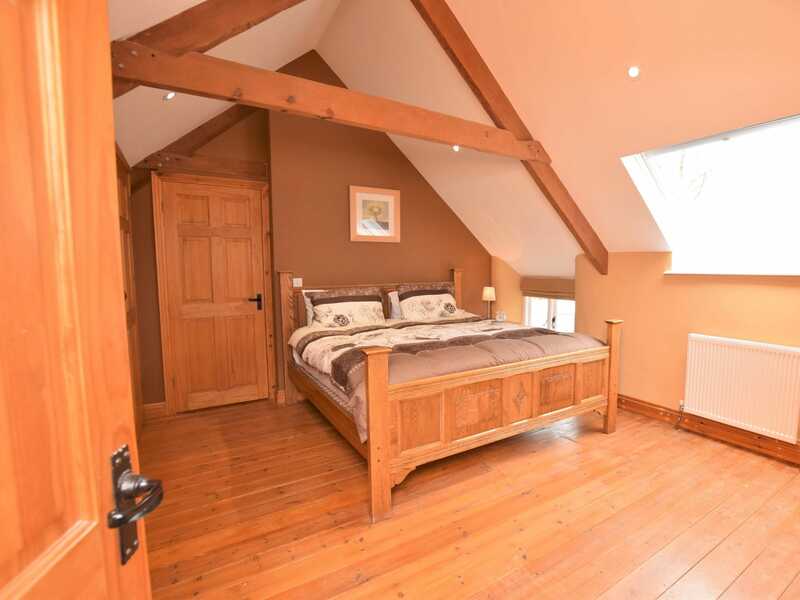 Upstairs are three of the four bedrooms the super king size with an en-suite has lovely beams and a velux window to take in the views. 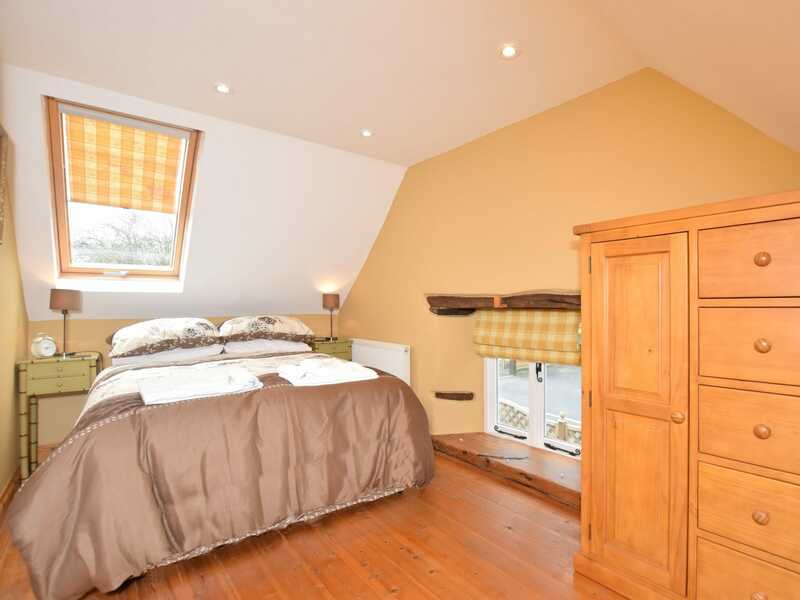 The twin bedroom is light and airy and the double bedroom offers a relaxing space. 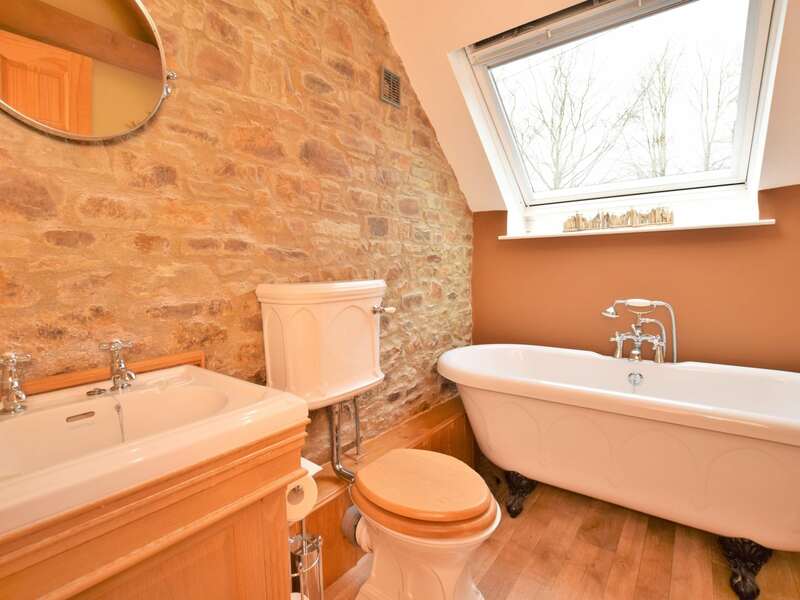 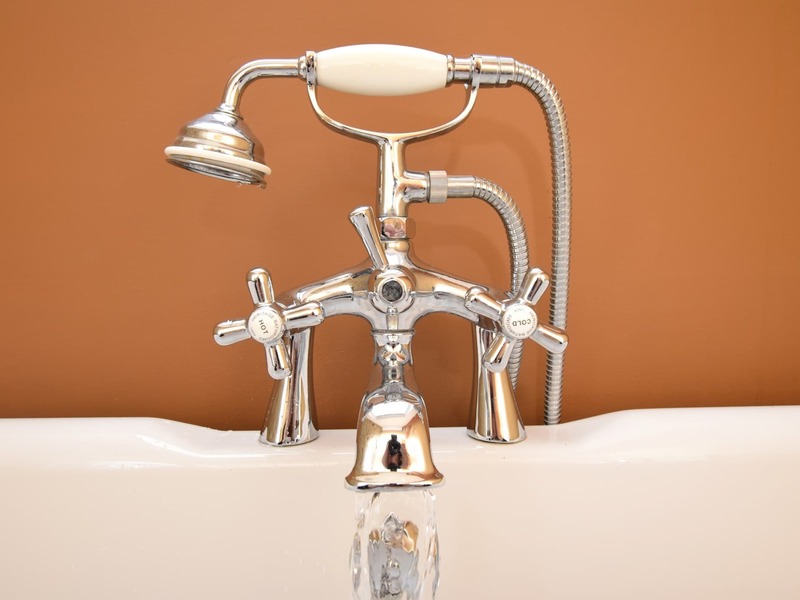 There is a bathroom on this floor with roll top bath and hand-held shower and feature wall. 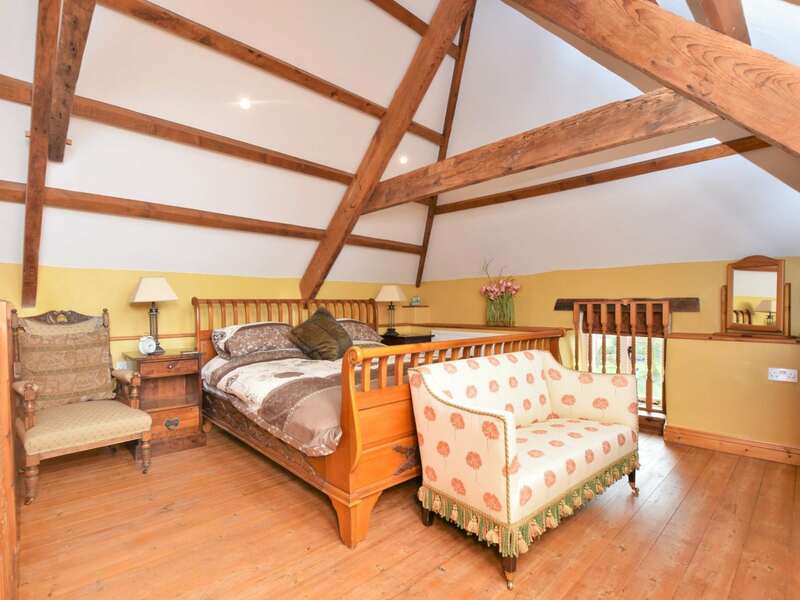 The first floor mezzanine level above the lounge has a super king size bed and more stunning woodwork on show. 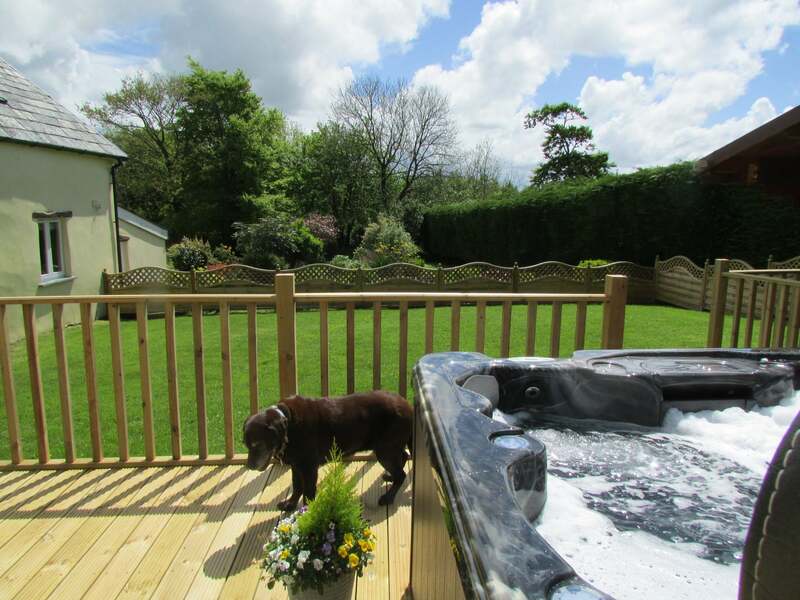 Outside is an enclosed garden with decked area and private hot tub perfect for a relaxing dip. 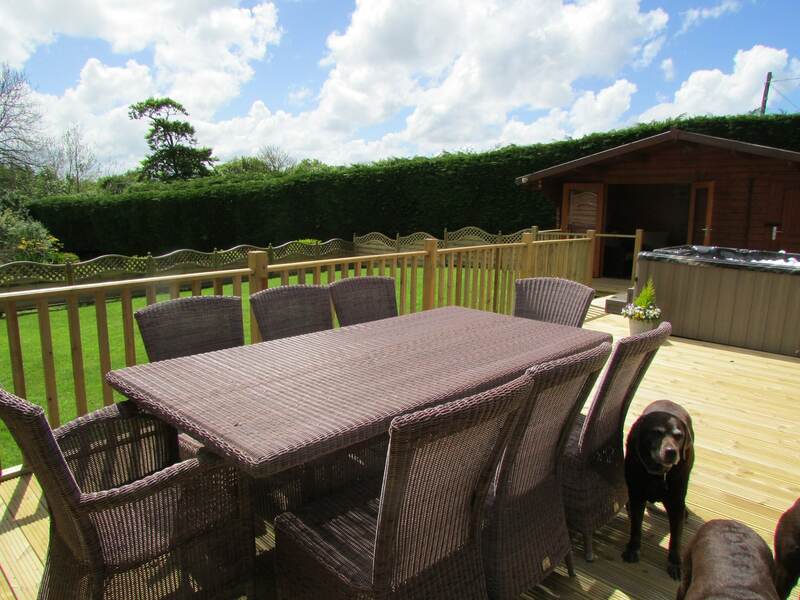 Or why not sit and have a BBQ or explore the 3 acres of grounds.